Directed by Lee Mikeska Gardner. 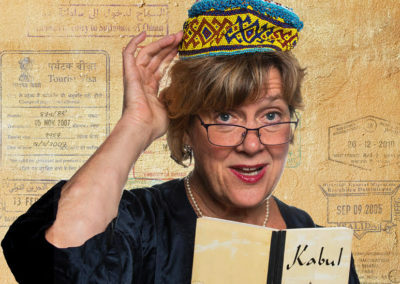 Holding only an outdated guidebook of Kabul, an eccentric and agoraphobic British housewife proclaims her unconsummated passion for the world. She grapples with the rich and turbulent history of Afghanistan, muses about living in the Middle East, confides to us her desire to divorce herself from the complacency of her safe life in London. Premiering shortly after 9/11, Tony Kushner’s prescience was praised, as was Homebody’s warm invocation of hope in an increasingly chilling, negative world. Debra Wise, brings this story to life, and was nominated for a 2018 Elliot Norton solo performance award, for Homebody. Tony Kushner’s plays include A Bright Room Called Day; Angels in America, Parts One and Two; Slavs! ; Homebody/Kabul; the musical Caroline, or Change and the opera A Blizzard on Marblehead Neck, both with composer Jeanine Tesori; and The Intelligent Homosexual’s Guide To Capitalism And Socialism With A Key To The Scriptures. He has adapted and translated Pierre Corneille’s The Illusion, S.Y. Ansky’s The Dybbuk, Bertolt Brecht’s The Good Person of Szechwan and Mother Courage and Her Children; and the English-language libretto for the opera Brundibár by Hans Krasa. He wrote the screenplays for Mike Nichols’ film of Angels In America, and for Steven Spielberg’s Munich and Lincoln. His books include Brundibar, with illustrations by Maurice Sendak; The Art of Maurice Sendak, 1980 to the Present; and Wrestling With Zion: Progressive Jewish-American Responses to the Palestinian/Israeli Conflict, co-edited with Alisa Solomon. Kushner is the recipient of a Pulitzer Prize, two Tony Awards, three Obie Awards, two Evening Standard Awards, an Olivier Award, an Emmy Award, two Oscar nominations, and the Steinberg Distinguished Playwright Award, among other honors. In 2012, he was awarded a National Medal of Arts by President Barack Obama. He lives in Manhattan with his husband, Mark Harris. Debra Wise (Artistic Director of Underground Railway Theater) launched URT in Oberlin, Ohio with founding Artistic Director Wes Sanders, who recently completed an e-book documenting URT’s decades as a touring company (1978-2008). With Sanders, Wise helped create over 30 new works which toured nationally and internationally to venues ranging from Lincoln Center to public schools; titles included Sanctuary – The Spirit of Harriet Tubman, Home is Where, InTOXICating and The Christopher Columbus Follies. Wise led URT collaborations with Boston Symphony Orchestra (Firebird, Creation of the World, Tempest); and Wise created and staged plays for Boston’s Museum of Science (Aging Puzzle), New Center for Arts and Culture (Jewish Women and Their Salons), the Mary Baker Eddy Library, the MFA and the ICA (Art InterACTions), and the Cambridge Arts Council (theater in dialogue with public art). Since creating Central Square Theater with The Nora Theatre Company, Wise has focused on re-envisioning URT’s mission to grow from within its first theater home. With playwrights Alan Brody and the late Jon Lipsky, and physicist/author Alan Lightman, she co-founded Catalyst Collaborative@MIT (CST’s unique science theater partnership with MIT), and led partnerships with Mount Auburn Cemetery (Our Town) and the National Park Service (Roots of Liberty – The Haitian Revolution and the American Civil War, featuring over 50 actors, dancers, musicians, and guest artists Danny Glover and Edwidge Danticat). URT has won two Elliot Norton awards under Wise’s leadership: for The Convert (Outstanding Production) and Bedlam’s St. Joan (Best Visiting Production). 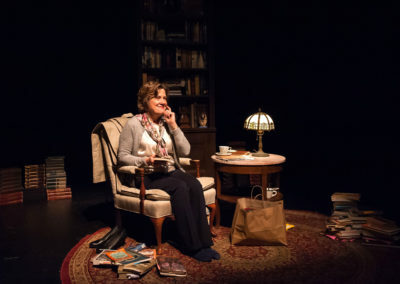 Other appearances on the CST stage include Kushner’s Homebody, Copenhagen, Brundibar & But the Giraffe!, The Other Place, Distracted, The How and the Why, Einstein’s Dreams, From Orchids to Octopi: An Evolutionary Love Story, Yesterday Happened: Remembering H.M., Breaking the Code, Arabian Nights and A Christmas Memory. Wise was welcomed into the Gloucester Stage family just last year in Out of the Mouths of Babes. Acting appearances on other Boston stages include Mistero Buffo (Poets’ Theatre); A Boston Marriage and Orson’s Shadow (New Repertory Theatre), Brooklyn Boy (SpeakEasy Stage Co.), and Chosen Child (Boston Playwrights’ Theater); in NYC, The Haggadah (The Public, with Julie Taymor). 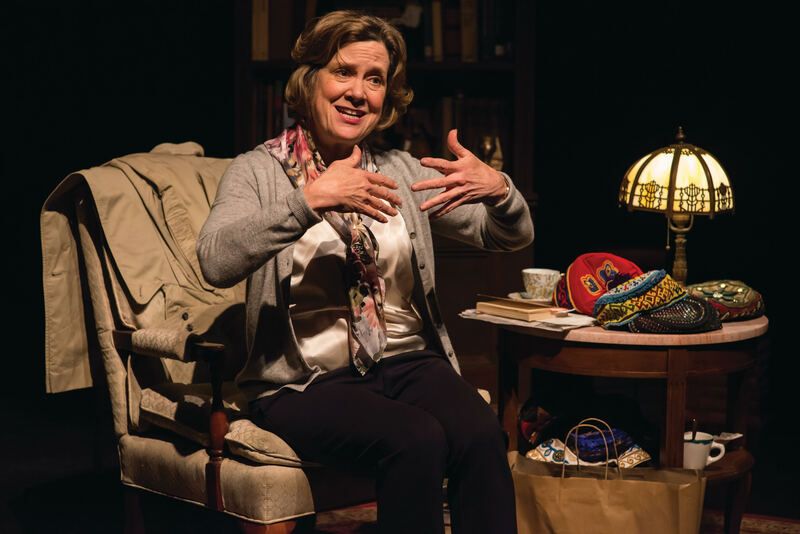 Wise has been nominated for Outstanding Performance by both the Elliot Norton Awards and the IRNE. Her work as a playwright includes States of Grace, inspired by the stories, poems, and essays of Grace Paley; and Alice’s Adventures Underground, based on the works of Lewis Carroll. She collaborates each summer with Harvard’s Project Zero, training educators on using theater to help students think more deeply across the curriculum. Lee Mikeska Gardner (Artistic Director, The Nora Theatre Company) was last on stage playing Olympe de Gouges in The Nora’s production of The Revolutionists. Other Boston roles: Brodie in Precious Little, Tess in Marjorie Prime, Emilie in Emilie: La Marquise du Châtelet Defends Her Life Tonight (Elliot Norton award for Outstanding Actress, Small Theatre) and Carla in the IRNE nominated Chosen Child at Boston Playwrights’ Theatre. 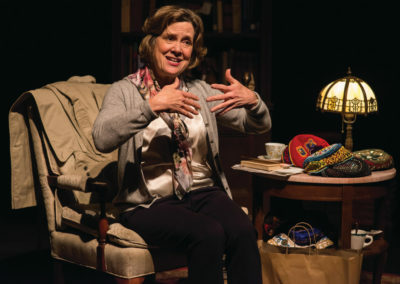 Favorite roles (all in pre-Trump Washington, D.C.) include Terry in Sideman (Helen Hayes Nomination for Outstanding Actress) and Florence Foster Jenkins in Souvenir at 1st Stage, Mary in A House in the Country with Charter Theatre (Helen Hayes Award for Outstanding Actress), Luisa in A Shayna Maidel at Rep Stage (Best Actress in the Baltimore City Paper), Claire in The Two-Character Play at Spooky Action and Josie in The Show Off at The American Century Theatre. Lee has earned an additional three Helen Hayes nominations for performance. As a director Lee most recently helmed The MIdvale High School Fiftieth Reunion as well as Journey to the West, a co-production with Underground Railway Theater. Other directing credits at The Nora are: Her Aching Heart, Grounded, Saving Kitty (with Jennifer Coolidge) and Arcadia. An Artistic Associate for ten years at Woolly Mammoth Theatre Company, Lee directed a show a season, earning Helen Hayes nominations for direction for After Ashley, Life During Wartime, and Goodnight, Desdemona, Good Morning Juliet. As an Associate Artist with 1st Stage, Lee directed Blithe Spirit, The How and The Why, Humble Boy and Fuddy Meers. Lee served as the Managing Director for Washington Shakespeare Company for five years directing shows including the world premieres of Caesar and Dada and Learning Curves as well as A Midsummer Night’s Dream. Other favorite directing projects include Across the Wide and Lonesome Prairie at The Kennedy Center; Angels in America and Peristroika at Signature Theatre; T.S. Eliot’s The Cocktail Party for the Washington Stage Guild (Theatre Lobby Award); Golden Boy and Who’s Afraid of Virginia Woolf? with the Keegan Theatre (Artistic Associate); The Butterfingers Angel…, Thom Pain (Based on Nothing), Stones In His Pockets and Three Tall Women at Rep Stage, where Lee also served as Managing Director for two years. Lee spent seven years as Associate Artistic Director with the Shenandoah Playwrights’ Retreat working on plays in development. As an educator, Lee has taught or served as a Guest Artist at Colleges and Universities across the nation including Emerson, University of Nevada, Las Vegas, UVA, Charlottesville, University of Maryland, College Park, and Middlebury College. Lee has a B.F.A. in the Performing Arts from George Mason University and an M.F.A. in Acting from The Catholic University of America.